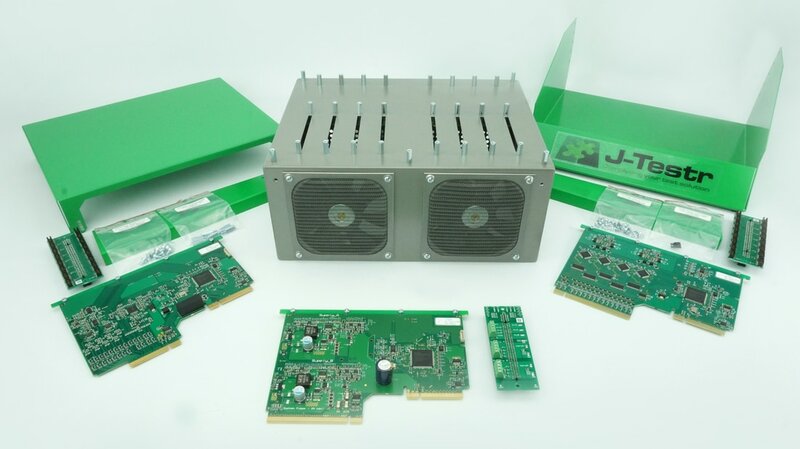 The J-Testr base configuration provides all commonly required peripheral cards and breakout cards. Customers are free to add the additional Peripheral Cards or Module functions required to satisfy the UUT testing needs. The system comes with the choice or either the ﻿LV Supply peripheral ﻿(provided with 24V input supply) of the HV Supply peripheral (provided with 48V input supply). Both input supplies (24V or 48V) have a universal input voltage range of between 80 - 264Vac making it suitable for worldwide use.